Alcon, the global leader in eye care and a division of Novartis, today announced plans to locate its future global headquarters in the Canton of Geneva, Switzerland, following completion of its proposed spinoff from Novartis. Alcon’s new global headquarters in Geneva will be the primary location for Alcon’s senior corporate leadership and other corporate and commercial functions. It will be co-located with Alcon’s Europe, Middle East, and Africa (EMEA) regional office, which is already based in the city. The new premises will be in a modern office complex offering world-class services and amenities, including close proximity to the Geneva international airport. The new listed holding company for the Alcon group after the proposed spinoff will be incorporated in the Canton of Fribourg, where Alcon already has significant operations, which will complement other key sites in Rotkreuz and Schaffhausen. While final details are being finalized, Alcon could employ up to 700 in Switzerland post spin-off. Alcon’s current global divisional headquarters in Fort Worth, Texas, will remain a major operational, commercial, and innovation hub for the proposed standalone company. 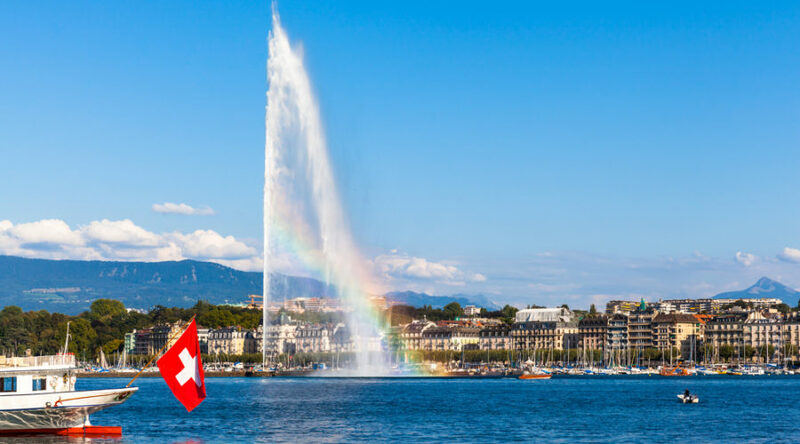 Alcon corporate and EMEA employees will begin moving to the new Geneva location in 2019. Earlier this year, Novartis announced its intention to spinoff Alcon into a separately-traded standalone company. The planned spinoff would enable Novartis and Alcon to focus fully on their respective growth strategies. As part of that announcement, Novartis disclosed that Alcon would be incorporated in Switzerland with listings planned on the SIX Swiss Exchange and the New York Stock Exchange. Completion of the planned spinoff of Alcon from Novartis is subject to general market conditions, regulatory approvals, final endorsement by the Board of Directors of Novartis AG and shareholder approval. Required information and consultation of affected employees and employee representatives is ongoing. In the event that all approvals are secured, the planned spinoff is expected to be completed in the first half of 2019. The transaction is expected to be tax neutral to Novartis, subject to the receipt of favorable opinions and rulings. Novartis intends to continue paying a strong and growing dividend in Swiss francs, building on the CHF 2.80 per share paid in March 2018. The proposed distribution ratio will be disclosed in due course. Alcon is the global leader in eye care. As a division of Novartis, we offer the broadest portfolio of products to enhance sight and improve people’s lives. Our products touch the lives of more than 260 million people each year living with conditions like cataracts, glaucoma, retinal diseases and refractive errors, and there are millions more who are waiting for solutions to meet their eye care needs. Our purpose is reimagining eye care, and we do this through innovative products, partnerships with eye care professionals and programs that enhance access to quality eye care. Learn more at www.alcon.com (link is external). Novartis provides innovative healthcare solutions that address the evolving needs of patients and societies. Headquartered in Basel, Switzerland, Novartis offers a diversified portfolio to best meet these needs: innovative medicines, cost-saving generic and biosimilar pharmaceuticals and eye care. Novartis has leading positions globally in each of these areas. In 2017, the Group achieved net sales of USD 49.1 billion, while R&D throughout the Group amounted to approximately USD 9.0 billion. Novartis Group companies employ approximately 125,000 full-time-equivalent associates. Novartis products are sold in approximately 155 countries around the world.